Where all your casino dreams come true! Well, we can’t guarantee that, but we can tell you that Dream Vegas Casino is home to some incredible games. New releases, old favourites and some you’ve probably never even heard of. Isn’t it high time you took a look at a new casino? Make it Dream Vegas! Casino fans across the globe are making their way to Dream Vegas Casino. Why? 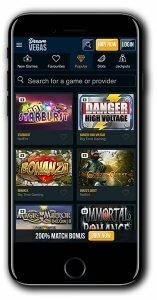 Apart from the fact they are stocked with literally hundreds of games from no less than forty innovative and exciting software developers, they also happen to come from the people that brought us G’day, PlayGrand and 21Prive Casino, so that tells us they are a pretty steady ship to step aboard. The casino is available on any internet-enabled device. You can log in and play instantly on your desktop or on the go with your mobile or tablet. The straightforward design is tailor-made for the player meaning it’s easy to find your way through the many, many games as well as check out the latest promotions or if needed get hold of their customer support team. Their staff are available 24/7 via live chat so you’ll be well looked after should the need arise to get in touch. With a name like Dream Vegas you better have the goods to back it up! Thankfully these guys do just that and have in fact exceeded our expectations in many ways. 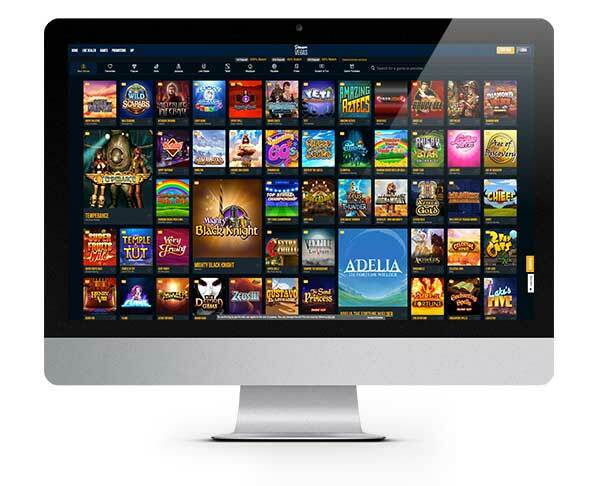 It’s rare to see a new casino come forward with such a vast choice of games and software developers in store and it can only mean that they are on a mission to take on the big guns! Dream Vegas already have a well established and experienced team behind them, so they know what makes players tick. Choice, quality and ease of use are at the forefront of the casino, and you can zip your way through the games collection easily thanks to the simple design and quick filters and categories. If you have a favourite supplier or fancy trying out a new one, you can also filter the games by the different developers. Sweet! As well as Microgaming, NetEnt and NYX, Dream Vegas is host to Thunderkick, Barcrest, 1×2 Gaming, Big Time Gaming, Lightning Box, Leander and many more. You can just imagine those slots! Here are a few we’ve picked out to give you an insight into the kind of calibre of games you can play here: Bonanza, Immortal Romance, Foxin’ Wins, King Kong Fury, Starburst and Break Da Bank Again. Not to feel left out, the table and card game fans out there will also be pretty impressed with the gaming options which include a well-stocked live casino with all the casino floor staples you could ever need! 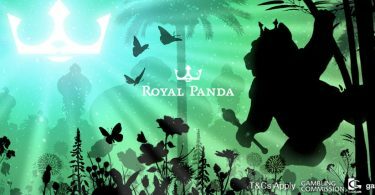 Claim Your 50 Bonus Spins + 200% Match HERE! 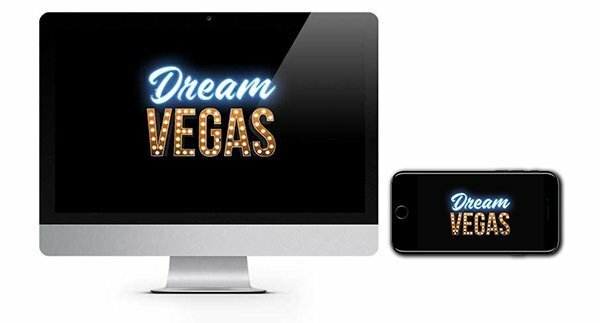 IMPORTANT NOTICE – Please make sure you are aware of any gambling regulations in your country of residence and ensure you are not playing from a restricted country before you register at Dream Vegas Casino. Dream Vegas Casino is full of all your favourite and soon to be favourite slots, why not check it out? 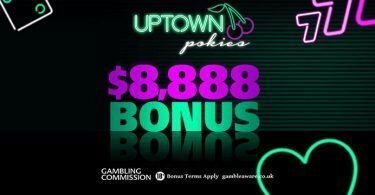 Uptown Pokies Casino: Get a First Deposit 250% Match Bonus up to $2500!